I'm a blue jeans kind of girl. It's what I feel most comfortable in. But there is something about spring that brings out my feminine side and has me reaching for long, flowy dresses. 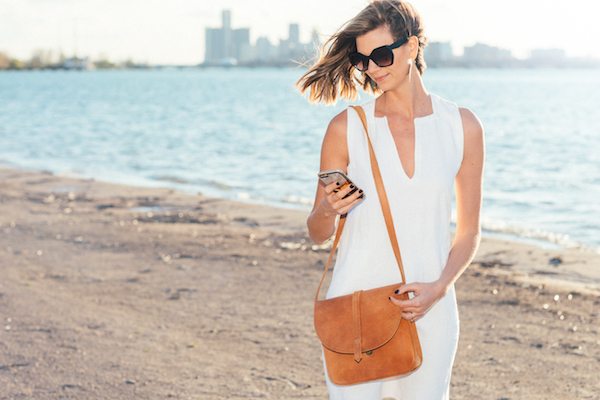 A couple weeks ago, I teamed up with photographer Remy Roman to shoot a little spring look book on Belle Isle. When styling the shoot, I wanted looks that were bright and springy, but still felt like me (so nothing too girly and no florals). I accomplished that by adding a little edge to the green midi skirt with gladiator heels and a slightly racy black lace top and keeping the white dress pretty simple, letting the accessories (and the surrounding blooms) shine. My denim will still be an outfit regular (especially my cutoffs this summer), but moving forward I may need to add some slightly more feminine pieces to the rotation. 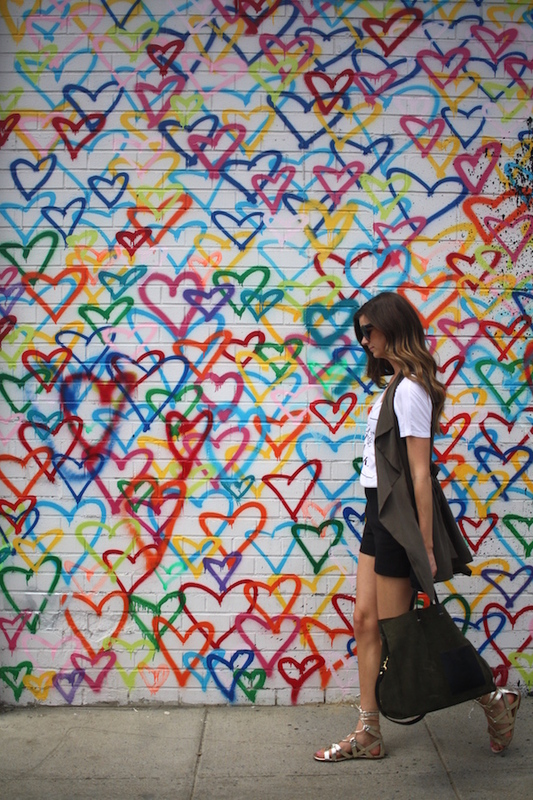 What Does It Mean To Shop Ethically? Shop ethically. Shop responsibly. Shop slow fashion. What exactly does any of that mean?? The deeper I dive into this subject, the more clear it is that shopping responsibly is not black and white. It is a whole lot of gray. 50 shades of gray. And with all of that gray, it makes it really hard to perfect ethical shopping. So what’s a girl to do? My opinion? If you can’t commit 100% (and that’s ok - it’s hard! ), pick the values that are most important to you. 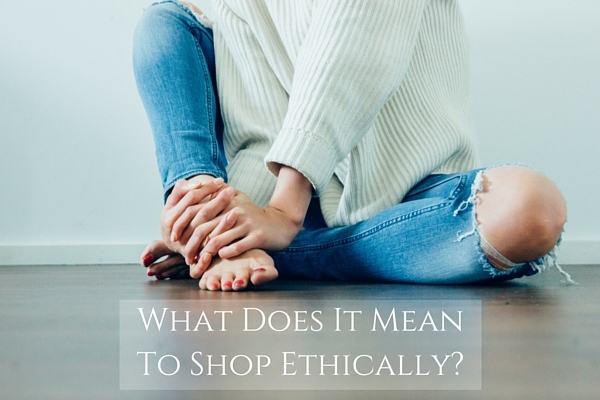 Below I’m going to lay out some of the most common ways to “shop ethically” and what each of them mean. Then you can decide for yourself in which way you want to support ethical/sustainable/slow fashion. 1. Support American Made. Here in the good ol’ US of A, we have higher standards for our workers, as well as regulations that require codes to be up to par. That includes safety standards as well as minimum wages. So workers in the US are being looked out for more than their third world counterparts. 2. Buy Fair Trade. Support companies who respect human rights and believe in a living wage for their workers. Not all overseas manufacturing is bad. Do a little research and see which ones are enforcing fair trade regulations, especially in developing countries. 3. Look for Chemical Free/Organic Items. The chemicals and dyes in the majority of our clothing is harmful not just to the environment, but to the workers creating the garments as well as the consumer who is wearing the clothing. Shop for items made of organic material and natural dyes to avoid harmful side effects. 4. Go Eco-Friendly. Buy items mad of natural fabrics that don't harm the environment. You want to look for textiles that will naturally decompose instead of sitting in landfills for decades. 5. Pick Vegan or Cruelty Free. Buy cruelty free items and support the rights of animals. 6. Thrift. I’ve written a lot about thrifting, so if shopping on a budget and avoiding massive amounts of clothing ending up in landfills are your priorities, shopping resale is the way to go. 7. Upcycle and Sew. Use deadstock fabric to re-sew and re-create old garments into something new. Or if you have sewing skills, design and make your own clothes. 8. Shop Local. By supporting the small businesses in your community, you are keeping your money in the local economy. 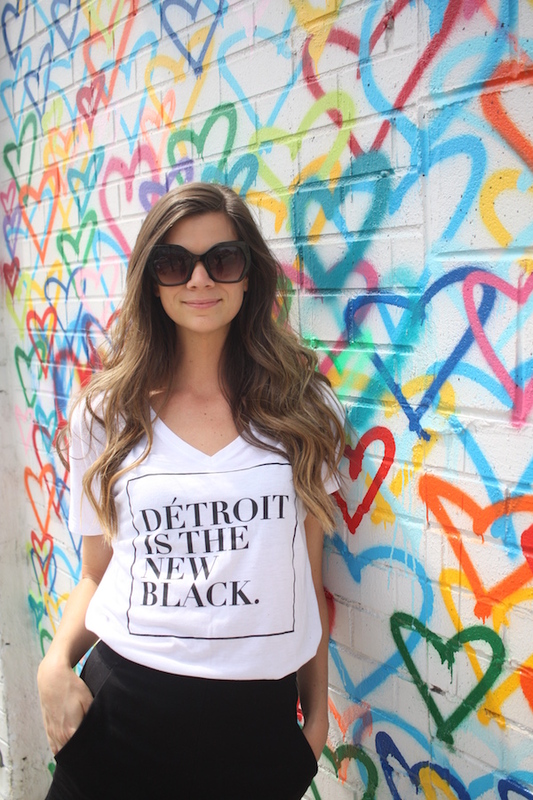 Living in Detroit in particular, I believe wholeheartedly in supporting the local retail scene, which not only supports local jobs but also puts my tax dollars to good use. 9. Wear What You Buy. A Lot. Currently there is a campaign, #30Wears, that encourages you to wear new purchases at least 30 times. This campaign supports quality items over disposable fast fashion. Before purchasing, ask yourself if you will get at least 30 wears out of the item. Can you mix and match it with current wardrobe items? Is it versatile enough to last. The theory is anything you wear 30+ times is sustainable. A lot of these overlap each other and several others contradict each other. Supporting cruelty free products and buying vegan often means buying products made out of synthetic materials that sit in landfills without decomposing. Those items are hard on the environment. Shopping local shops may support your community and its makers, but the items might not always come from fair trade manufacturers. Lots and lots of gray. Instead of being overwhelmed by this, it’s up to you, the individual shopper, to decide which is the best personal choice based on the values that are important to you. 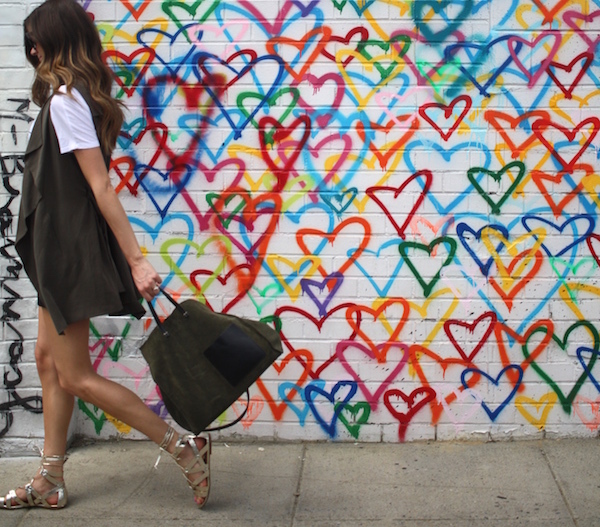 Where are your priorities when it comes to shopping ethically? When I first decided to shift the tone of The Closet Confessional, I was pretty nervous (read about that shift here). Nervous about a lot of perceptions, but ultimately, I was worried about losing connection. Which in hindsight is pretty ridiculous. Because acknowledging and sharing on a deeper level tends to lead to a deeper connection. Sure, there would be people that would disengage. But the people that stayed would stay for something I authentically believed in. And in the 6 weeks since I shifted this blog, I have connected not only with my readers, but with other creatives with similar beliefs. One of those creatives is designer Kim Collins of Ann Normandy Designs. Kim reached out to me the day I announced my departure from fast fashion (thank you universe!) and we immediately connected ands started brainstorming collaborations. Ann Normandy Designs is a 9 piece collection, handmade with reclaimed handwoven french linen. 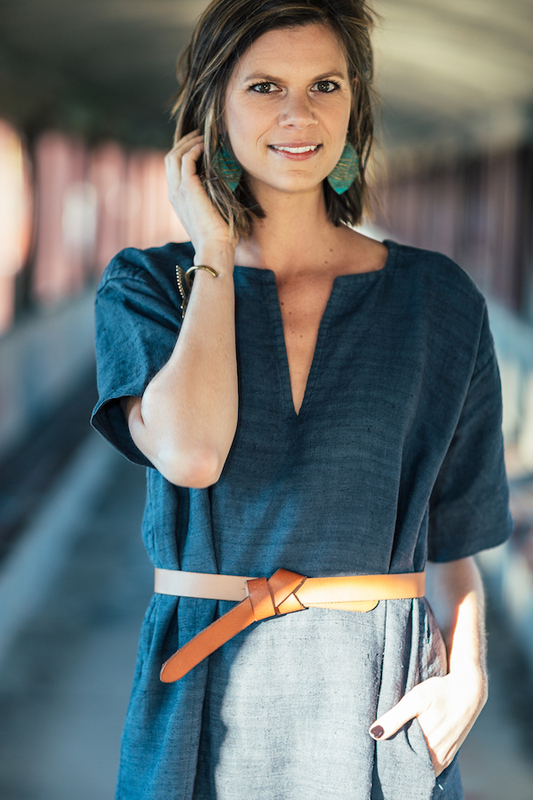 The one-of-a-kind pieces are made from antique fabric that was literally started from seed. Talk about slow fashion. 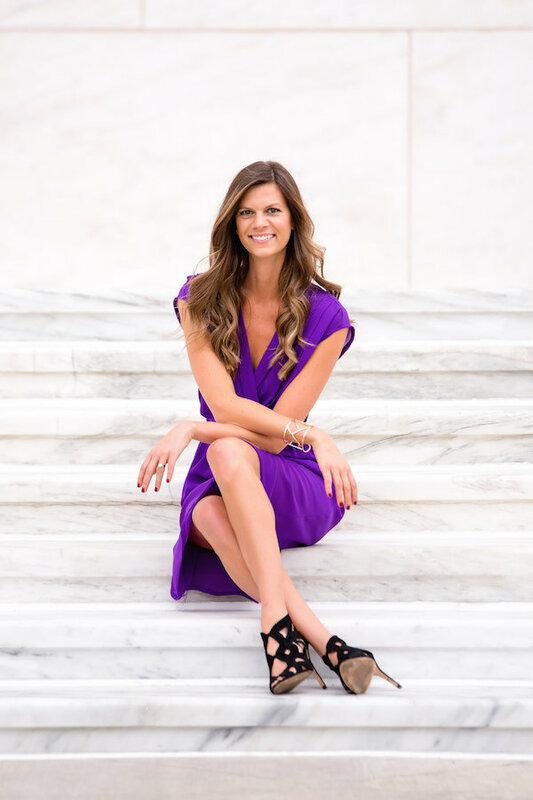 For this post, I borrowed two of her pieces - the white sleeveless shift dress and the short sleeved dress in this incredible indigo color (one of the only non-white items she creates). Both dresses have pockets (total bonus) and are extremely versatile. Either dress could easily go from the beach (pair it with sandals and a straw tote) to dinner with friends (swap out your sandals and tote for heels and a clutch). The versatility and quality of her designs are what make the collection worthy of the investment and pieces that will literally last a lifetime. In short, her designs are meant to last. Because of the antiquity and rarity of the fabrics used, the price point for her handmade collection is not for everyone. Kim acknowledges this and created a solution by selling her patterns. If you can’t afford the price point but you like the collection and like the design, you can order the pattern and create your own designer piece. And if you can’t sew, Kim encourages you to hire a local seamstress to create the garment for you. Kim doesn’t just support sustainable fashion with her collection, but supports her local industry as well. And in order to experience that first hand, I’ll be working with Kim to go through the process of creating a garment from scratch, teaming up with Ann Normandy designs and the Detroit Garment Group’s sewing program, Detroit Sewn. So stay tuned for a behind the scenes look of that expereince. And in the meantime, learn more about Ann Normandy Designs here! I’ve been shopping resale my entire life. Not because it was ethical, but because it was affordable. I'm also a woman who loves a bit of a chase and there's something so satisfying about the thrill of the hunt. That search for that perfect gem, hidden among racks and racks of clothes. This purple dress was one of those gems. 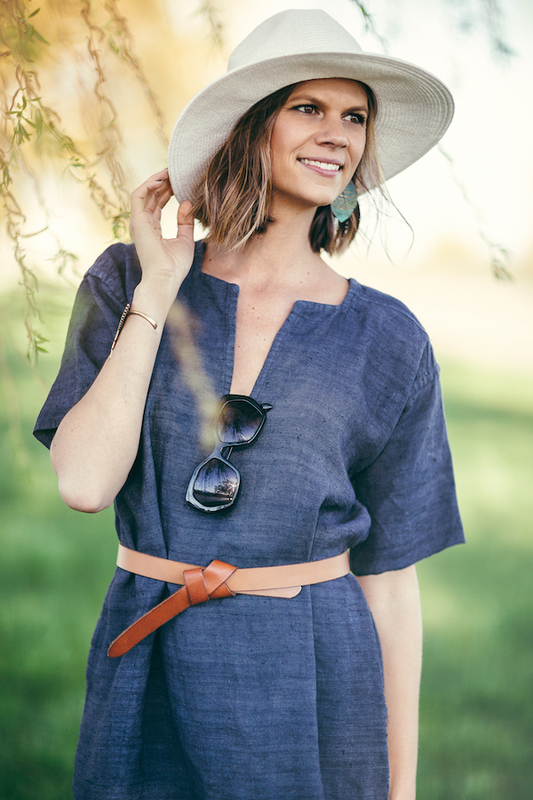 The bright color, the ease of the material, the flattering wrap style - I knew this dress would be a warm weather staple. And even though it was too big and slightly see through, I saw the potential after a couple of quick fixes. Throw a belt on top and a slip dress underneath and this dress is ready to shine. 1. Ignore the sizes. Vintage clothing sizes are drastically different than modern sizes. Recently I found a white silk midi skirt that was labeled 3 sizes up from my usual size. When I tried it on, the fit was perfect. Sizing varies so much depending on the decade or the brand, it never hurts to try on an item with potential. Plus, if you find a great quality item, it's worth having it altered for a better fit. 2. Explore the men’s section. I have found everything from my favorite vintage t-shirts to cozy, oversized sweaters in the men’s section. If you're petite, check out the children's section too. There are some great blazers in the boy's section for the small framed woman. Don't limit yourself to the obvious. 3. In a rush, stick to a color scheme. Oftentimes thrift store items are color coordinated. If you don’t have time to sift through every single item, think about the colors you wear most and stick to those. 4. Just because it’s affordable, doesn’t mean you need it. It’s easy to get caught up in the great prices and over do it. Keep your lifestyle and personal style in mind. Remember, quality over quantity. A helpful tip is to ask yourself, "If it was full price, would I still buy it?" If the answer is "no," you are probably buying it because of the low price, not because you actually need (or want) it. 5. Keep a list. It's helpful to have a list of pieces you are looking for to keep you on track and keep you from ending up with an overflowing closet of items that don't suit you. I keep a list of items I need hanging inside my closet. Whenever I am out shopping, I take the list so that I know what pieces to look for and can distinguish between what I need and those tempting impulse buys. 6. Be open. You have your list of items you are looking for, but don't be afraid to stray for some truly special pieces. With a little digging, you can find some unique finds that may not be on your list, but are too amazing to pass up. Just make sure they are items you will actually wear in your real life. You may find a beautiful pair of vintage stilettos, but if you never actually wear heels, they will just sit in your closet and take up space. When making any purchase, it's important to be realistic about your lifestyle. 7. Use the internet. There are tons of online resources available that allow you to shop from the comfort of your pjs. This is especially helpful when searching for something specific (like an evening gown). You can filter through the inventory by size, color, price, etc. Some of my favorite online resale shops are ThreadUp and Tradsey. And if you want to shop from your phone, check out apps like Poshmark and Depop. 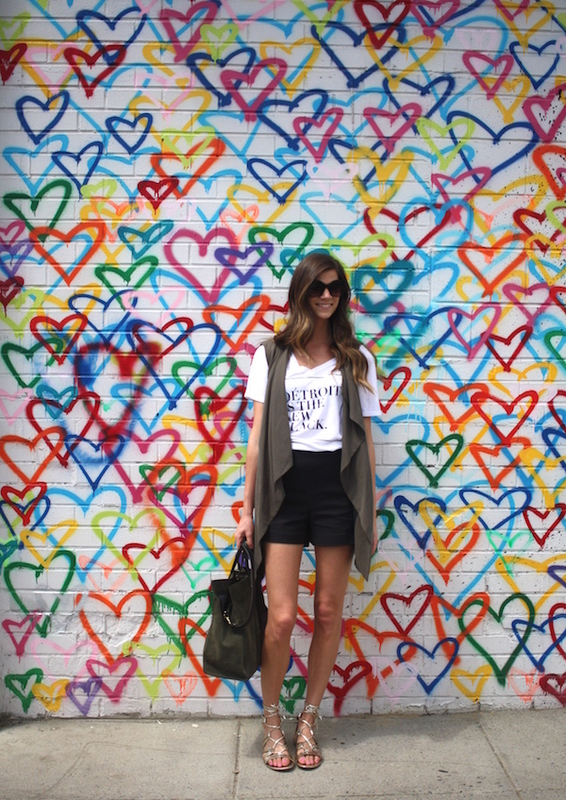 Are you an expert thrifter? What are some tips that you find beneficial when shopping? I recently returned from a trip to DC, where spring was in full force. For a couple of blissful days, I was able to put away the sweaters and coats and actually show some leg. Back here in Detroit, we're still (not so) patiently waiting for bare leg-worthy temps. Even though the weather was hot and I could have easily gotten away with just wearing shorts and a tee, this look feels more pulled together with a third piece (not sure what the third piece rule is? Check out my previous post here). 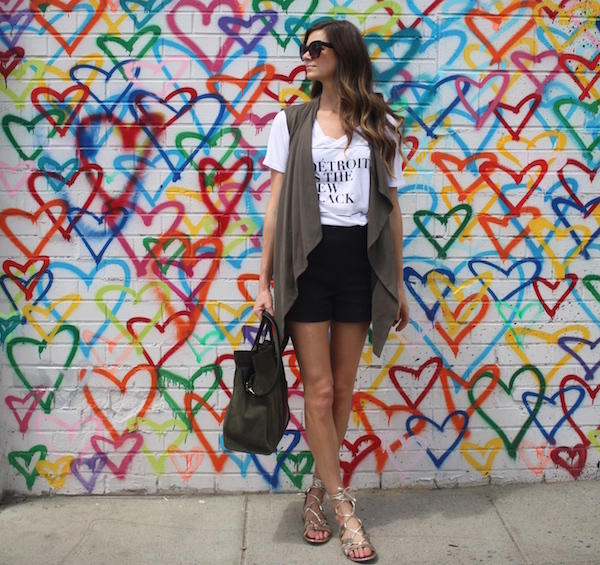 This olive vest was the perfect way to add an extra layer without adding extra heat. Now I'm just waiting for Detroit to turn up the heat. Come on, Detroit. Our legs are waiting. I can't speak from personal experience (unless you count my dog, which most of you won't), but being a mom is tough. It's a full time balancing act that makes you all look like superheroes. Seriously, I can barely balance my life with my dog's life. Whether you are a new mom or your kids are all grown up, you deserved to be spoiled a bit. 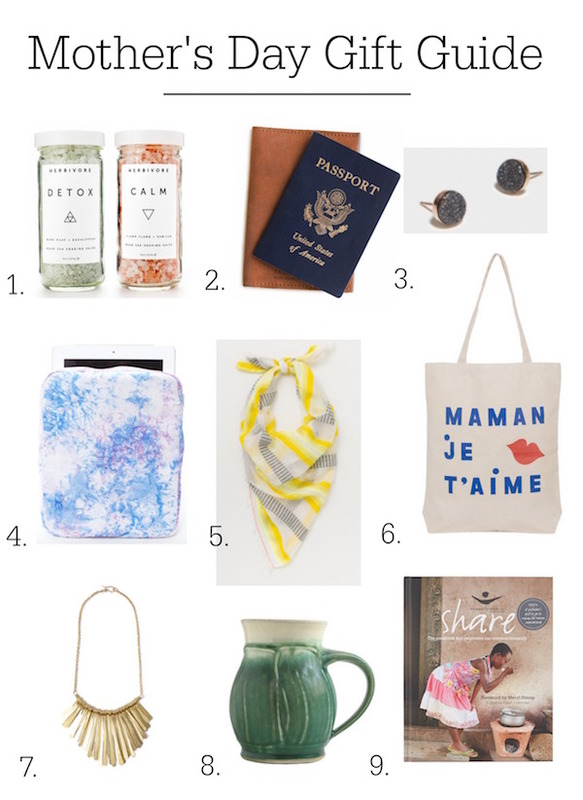 So in honor of all you moms out there, here are some of my favorite gifts that take the appreciation beyond flowers and a card. And feel free to forward this to your partners, kids, friends, etc. who may be lacking in ideas. 1. Bath Salts: Kids can be stressful. Give the gift of relaxation with some bath salts. And if you want to take it a step further, throw in a gift certificate for a massage. 2. Leather Passport Case: And - if you’re really wanting to spoil a mom in your life - plane tickets, with or without the kids. 3. Earrings: When you have young kids, dangly earrings are a dangerous accessory. Keep the earlobes safe with these glitzy studs she can wear everyday. 4. iPad Case: Technology is a staple in most women's lives - whether it's watching cartoons with the kids or doing work on a business trip. Avoid cracked screens and spills with this distinctive case. 5. Scarf: For the mom that likes to accessorize, scarves are a stylish gift - and one that doesn't require you to guess her size. 6. Every Mother Counts Tote Bag: 100% of the proceeds of this bag goes to support Every Mother Counts, a nonprofit organization dedicated to making pregnancy and childbirth safe for every mother. Plus, it's pretty damn cute. 7. Necklace: Not only is this handmade necklace beautiful, but the company also supports empowerment for women, so you can feel good while looking good. 8. Handmade mug: There aren't many moms I know who don't savor a cup of coffee in the morning. Give her a handmade mug (or if you're artistic, make your own) along with her favorite coffee to elevate her morning experience. 9. Cookbook: Whether she’s a master chef or a takeout queen, let her have fun in the kitchen with a new cookbook. And if you really want to score some bonus points, cook her an actual meal from said cookbook. 10. Closet Cleanse: Shameless plug here, but nothing is more relaxing and rewarding than having an organized closet full of clothing that are loved and fit. Mother's Day is a great opportunity to give her the gift of a clean closet.